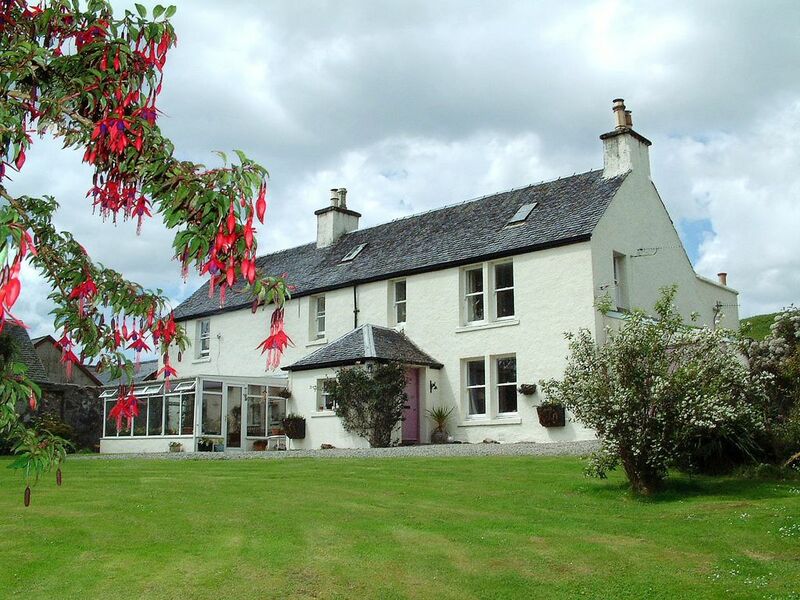 Aros Mains Apartment and Castle Steadings Cottages are located at the end of a quiet road situated two miles North of the village of Salen. Our location is one of our strengths. We are placed very centrally on the island and we offer an excellent self Aros Mains is a comfortable, 18th century Georgian House, built by the Chamberlain to the Duke of Argyll in the 1790s. The spacious first floor apartment overlooks the ruins of Aros Castle, ancient seat of the Lords of the Isles, with views across Salen Bay to the hills beyond. Situated two miles north of the village of Salen, Aros Mains accommodation provides an ideal base for touring, hill walking, bird watching and sightseeing. This scenic area, rich in wildlife, provides great opportunities for spotting Otters, Deer, Seals, Dolphins, Golden Eagle and White Tailed Sea Eagles as well as countless other species of birds.